I can't believe my baby is already 9 months old. I was the mom that didn't want him to roll over, crawl or even start walking. I wanted him to stay little for ever but boy, that is not the case with this one. He is such a big boy and started rolling over and crawling at an earlier age than his brother. That's made it more challenging but also more fun, for me. Bronson is constantly on the move. He excels in speed crawling, if there was an olympic sport for crawling he'd be battling for gold. He is pulling himself up on EVERYTHING and is cruising along the furniture, trying to keep up with brother. One of the most challenging things to do is put shoes on this kid. Not only does he never sit still long enough but he has really wide feet. These zipper Walkkings shoes are hands down they easiest shoes I've ever tried and go on in 3 seconds flat. Walkkings shoes zipper from the ankle all the way under the arch of the foot. The shoe literally splits in half making it incredibly convenient and effortless to slide on his foot. No more worrying if he is scrunching his toes or fiddling with the back flap of the shoe being folded on his heel. The sole is a very flexible rubber base, so their little feet have protection and support. Plus Walkkings come in over a dozen different color options. 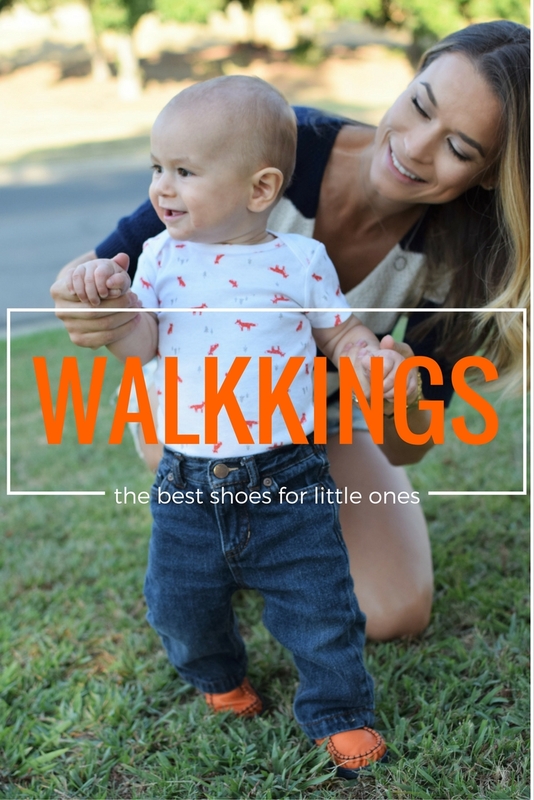 Walkkings has generously offered to do a GIVEAWAY so don't miss your chance to win a pair of your own. All the details are available on my Instagram account HERE.